Screenshot of a SUMO net file opened in sumo-gui. It shows the map of the German city Eichstätt. connections between lanes at junctions (nodes). Although being readable (XML) by human beings, a SUMO network file is not meant to be edited by hand. Rather you should use SUMO XML description files together with NETCONVERT. You can also convert an existing map from various formats using NETCONVERT or generate geometrically simple, abstract road maps with NETGENERATE. To modify an existing .net.xml-file you may load it with NETCONVERT along with patch files You may also use NETEDIT for building own road networks or for reworking the ones obtained from NETCONVERT or NETGENERATE. When creating SUMO networks from custom input data, the recommended approach is to create/generate plain-xml-files and use NETCONVERT to turn these into a .net.xml file. Trying to generate the .net.xml file directly is fraught with dangers. The networks are using cartesian, metric coordinates where the leftmost node is at x=0 and the node being most at the bottom is at y=0. This means that when being imported, NETCONVERT and NETGENERATE are projecting the network, first, if the original network was not using cartesian and/or metric coordinates. Then, they move the road network to the origin at (0,0). '!' No projection was applied. proj-definition (<PROJ_DEFINITION>) The projection was done using proj, initialising it using these parameter. For networks with no projection (projParameter='! '), only the offset must be applied. For networks with "simple" projection (projParameter='-'), a back-projection method is currently not known. SUMO road networks are meant to be aligned to the north. 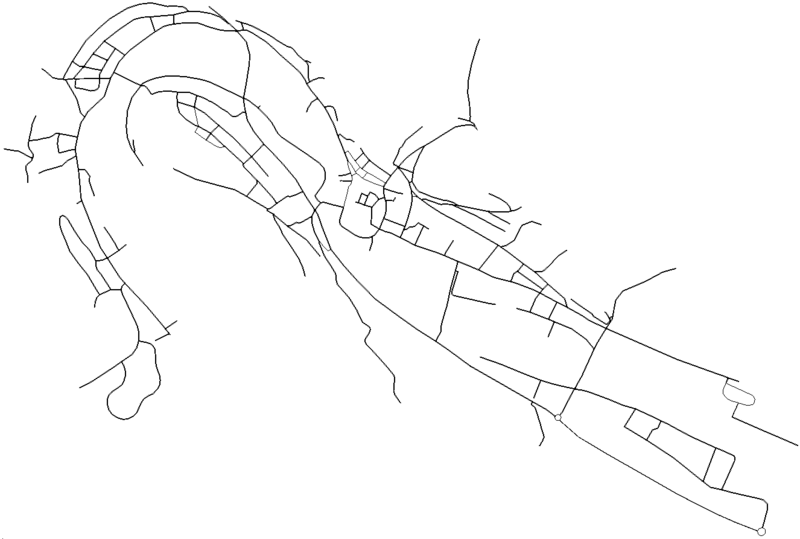 Of course, it is up to the user how he defines a road network, but when being imported from sources as Open Street Map or shape files, the up-direction is meant to correspond to north. "plain" and "internal" edges are encoded almost the same way, but they differ by the mandatory and used attributes. A "normal" edge is a connection between two nodes ("junctions"). Here, the ID (<ID> in the example above) is an ID as read during the network import. Both the IDs of the begin and the end node are given within the attributes from and to, respectively. The priority is an abstract ordinal number that determines right-of-way rules. The function attribute was omitted in the example above, as it defaults to "normal", which is the example edge's function value. connector: The edge is a macroscopic connector - not a part of the real world road network. Still, within the simulation, no distinction is made between "connector" roads and "normal" nodes. Only SUMO-GUI allows to hide connector edges. internal: The edge is a part of an intersection (is located within the intersection), see above. Each edge includes the definitions of lanes it consists of. The following example shows a single edge with two lanes. Note, that coordinates may be 2D as well as 3D. It should be noted, that currently all lanes of an edge have the same length, even if it differs from the geometrical length of the shape. NETCONVERT even explicitly allows to override the geometrical lengths. Additionally, even though the network is shifted to start at (0,0), it is not guaranteed that all of the network's parts have positive coordinates. The minimum edge length is 0.1m. The id of an internal edge is composed as :<NODE_ID>_<EDGE_INDEX> where <NODE_ID> is the ID of the node the edge is located within and <EDGE_INDEX> is a running number running clockwise around the node (starting in the north). Please note that the ID has a ':' as prefix. If the incoming and outgoing edges connected by the internal edge have multiple lanes, the internal edge has multiple lanes as well (according to the number of connections between these two edges). In case of multi-lane internal edges, the INDEX jumps by the number of of lanes so that EDGE_INDEX + LANE_INDEX = CONNECTION_INDEX. The attributes are given in the following table. Defining this element for an edge will affect all lanes of the edge that do not hold an own stopOffset element. Note that there is the possibility to define either all vehicle classes, that are affected by the stop offset (attribute vClasses), or those, which are not affected (attribute exceptions). You may not use both attributes in conjunction. The distance at which the specified vehicle classes are required to stop from the lane end is specified by the value-attribute. value value (double) The stop offset as positive value in meters. vClasses list of vClasses Specifies, for which vehicle classes the stopOffset applies. exceptions list of vClasses Specifies, for which vehicle classes the stopOffset does not apply. For specification of vehicle classes see here. For an explanation of the attributes and semantics, please consult Simulation/Traffic Lights. Please note that usually, the generated program has the ID "0". <junction id="<ID>" type="<JUNCTION_TYPE>" x="<X-POSITION>" y="<Y-POSITION>"
id id (string) The id of the junction; please note, that a traffic light definition must use the same ID when controlling this intersection. Please note, that the x/y-positions of the junction describe the given, not the computed centre of the junction. It is allowed for two nodes to have the same position. The maximum number of connections (links) per junction is limited to 256 since version 0.25.0. In earlier versions of sumoe the limit was 64. They describe, for each link (given as "index") which streams have a higher priority ("response") and force the vehicle on link "index" to stop, and which streams are in conflict ("foes"). "foes" is a super-set of "response", adding streams that have a lower priority than the stream referenced as "index". One can read the requests as following: the index describes a certain connection, between an incoming and an outgoing lane, over the intersection. The indices are computed connection-wise and the order is as following: first, sort edges by their direction, starting with 0° (up); second, use lane order (right-most-first); third, order by the direction the connection follows, starting by the right-most. response bitset (string) A bitstring that describes for each connection whether it prohibits un-decelerated passing of the intersection for vehicles at this connection. The rightmost bit corresponds to index 0.
foes bitset (string) A bitstring that describes for each connection whether it conflicts with this connection. The rightmost bit corresponds to index 0.
cont bool Whether a vehicle may pass the first stop line to wait within the intersection until there are no vehicles with higher priority. This is typically the case for left-moving streams from the prioritized direction. The bitstrings in attributes response and foes must be read from right to left (response to link 0 is the rightmost entry) in contrast to tlLogic-state strings which are read from left to right (state of link 0 is the leftmost entry). "internal" junctions are used to define a waiting position within the intersection for some traffic relations. This is typically used for left-turning vehicles from the prioritized direction or for right-turning vehicles that have to wait for straight-going pedestrians. <junction id="<ID>" type="internal" x="<X-POSITION>" y="<Y-POSITION>"
<connection from="<FROM_EDGE_ID>" to="<TO_EDGE_ID>" fromLane="<FROM_LANE_INDEX>" toLane="<TO_LANE_INDEX>"
When creating these connections without Netconvert (not recommended) it should be taken into account that a connection with an internal lane follows a special pattern. For example when lane 1_f_0 needs to be connected to 1_t_0 through 1_v_0, the following connection entries exist: [from=1_f_0, to=1_t_0 via=1_v_0] and [from=1_v_0 to=1_t_0]. If the latter is omitted, SUMO will not load the network. It will also not load if next to the necessary connections a connection [from=1_f_0 to=1_v_0] exists. Each connection has associated indices which can be shown in SUMO-GUI by customizing gui settings and activating Junctions->Show ... index. These indices are usually identical but may be configured independently of each other. Junction Index: This index is described in section #Requests. It cannot be modified. The index corresponds to the order of the <junctions>s incLanes-attribute and also to the order of the <connection> elements. These indices run clockwise (in a right-hand network) around the junction starting at the top. TLS Index: This index is assigned to connections which are controlled by a traffic light. For joined traffic lights (controlling multiple junctions) this index differs from the junction index because the latter is no longer unique. The TLS Index may be configured with a .con.xml file. Custom indices may be used to create signal groups (multple connections that always have the same state and share the same index) and thus simplify the state definiton for the traffic light phases. To create a SUMO network file, NETCONVERT helps to generate it from maps in other formats and NETGENERATE constructs a new map with simple geometries. SUMO performs its simulation directly in the map of this file. Most other SUMO tools read such files to generate or import information that must be the mapped onto a road network. Networks can be created and edited graphically using NETEDIT. The SUMO net file is not meant for manual editing. Convert it to the SUMO native XML descriptions with NETCONVERT instead. You can then process these files by hand and rebuild the network with NETCONVERT. Please see the ChangeLog when dealing with networks generated by old versions of NETCONVERT / NETGENERATE.